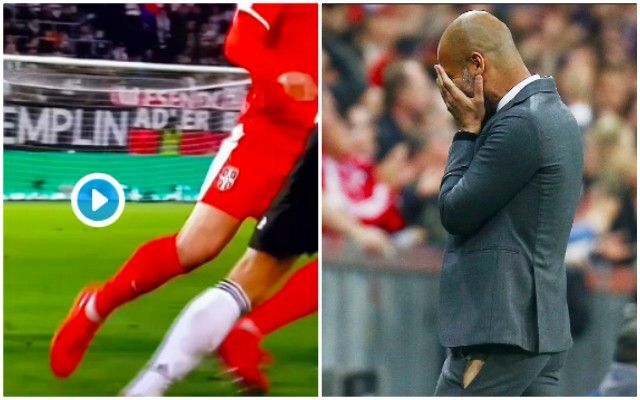 Pep Guardiola would have been watching the international fixtures last night from behind his sofa, especially when Leroy Sane went down in the Germany v Serbia clash. In the second-half, the Manchester City superstar was tackled horrendously by Milan Pavkov, who rightly got a red-card. Sane’s outstretched leg is stamped on and at first, it looked like he’d potentially picked up a very nasty injury, with manager Joachim Low describing the foul as ‘vicious’ and the kind than can ‘break bones’. These games for Guardiola and Jurgen Klopp must be absolutely horrible. Liverpool have already had three withdrawals from various squads in Trent Alexander-Arnold, Andy Robertson and Xherdan Shaqiri – although none of these are from injuries picked up with their countries. The fact that the players are doing different kinds of training and playing different kinds of football doesn’t help their bodies, though. We just pray no Liverpool players are scythed down like Sane was, as our rage would be other-worldly! We’re also glad the German’s ok. That kind of horror challenge in a meaningless international game shouldn’t have an effect on the title.